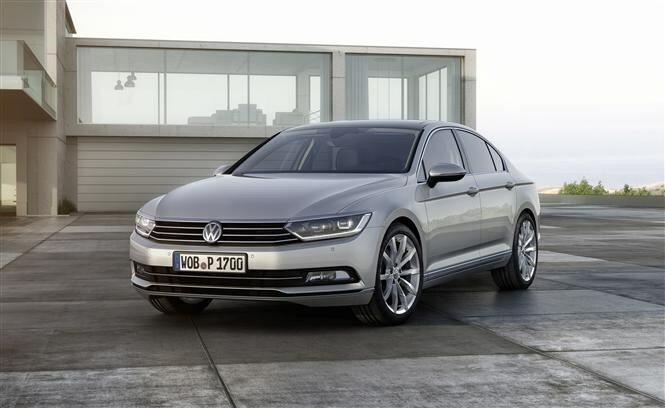 This is the eighth-generation Volkswagen Passat, set to go on sale on October 7th with first deliveries expected in January 2015. The Passat has been a big success for the German manufacturer with nearly 22 million units sold since it first entered production in 1973. A hugely popular company car here in the UK (83 percent of sales of Passats sold here are company cars), the Passat is a great all-round choice but many would agree that it's not the most exciting car in the world, especially to look at. The designers at Volkswagen have paid particular attention to the exterior look of the new Passat, and although to the naked eye there are few bold changes, subtle tweaks have helped to give the new generation a sleeker and more muscular look, far more exciting than the outgoing model. New design cues include a new grille and headlight design, a more distinctive rear bumper and new LED lights. 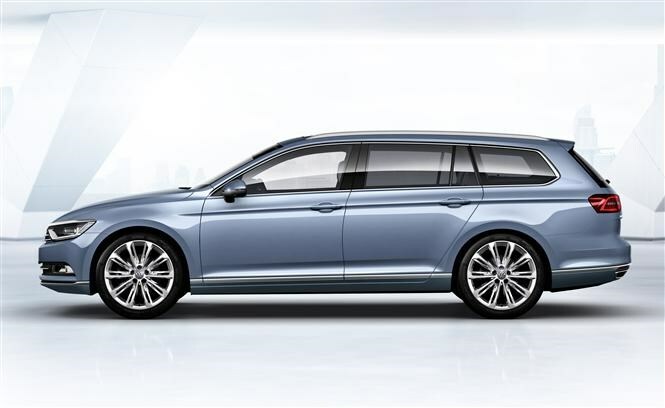 Roomier then before with more headroom, legroom and luggage space on offer, the new Passat is actually lower and shorter than the outgoing model giving it a more compact, sportier appearance. The car is lighter too by as much as 85kg (depending on spec) and as a result CO2 emissions are greatly improved, down by as much as 20 percent which will please company car drivers and their tax bills. So the car is lighter, shorter and lower yet boasts a longer wheelbase of 79mm over the outgoing model with boot space up 47 litres over the previous generation – quite an impressive feat. Available as an estate or saloon, you will be able to choose between four trim levels from launch; S, SE, SE Business and GT. Volkswagen is predicting that SE and SE Business will be the most popular accounting for around 75 percent of sales between them. According to Volkswagen, everything in the eighth-generation Passat is new from the ground up. As well as the new design and chassis there is plenty of high-tech kit on offer too. The new Passat is the first Volkswagen with an 'Active Info Display' (a completely new digital instrument panel behind the steering wheel) which will be available as an option across the range plus a Head-Up display system for the first time. Also available is the second-generation infotainment system which features a 6.5-inch colour screen as standard plus the possibility to integrate tablets via an app for rear seat passengers, to entertain the kids on a long journey. Safety has been a major focus for Volkswagen and the latest generation boasts many new features. The most revolutionary is called Emergency Assist which, when accompanied by Traffic Assist, Adaptive Cruise Control and Lane Assist, will stop the car and put the hazard lights on if the steering wheel gets no response from the driver after a certain amount of time – this has the potential to save many lives, in the event of a driver falling asleep behind the wheel, for instance. Also making its debut in the new Passat is City Emergency Braking, a pedestrian monitoring system and Trailer Assist which guides you if you’re reversing with a trailer. 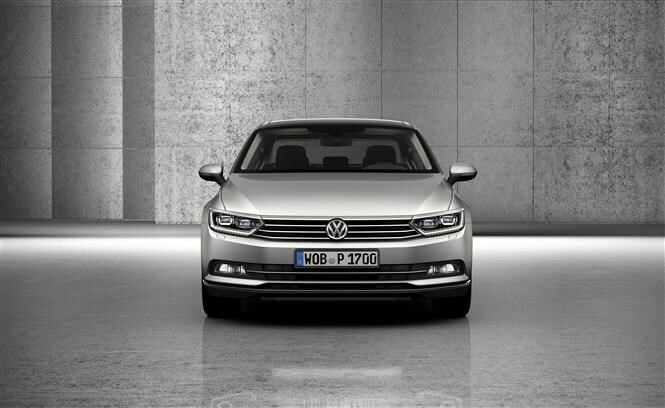 From launch the new Passat will only be available with a 2.0-litre diesel engine which will be offered in three different power outputs; 148bhp, 187bhp and 236bhp (the latter will be exclusive to the GT trim). The 2.0-litre TDI with 148bhp is expected to be the most popular for company car drivers as it offers low CO2 emissions of 108g/km. A 1.6-litre diesel engine will join the range shortly after launch accompanied by a BlueMotion diesel which is expected to offer ultra-low running costs. A petrol-hybrid will also be released sometime in 2015 which is said to be able to travel as far as 50km on electric power alone. 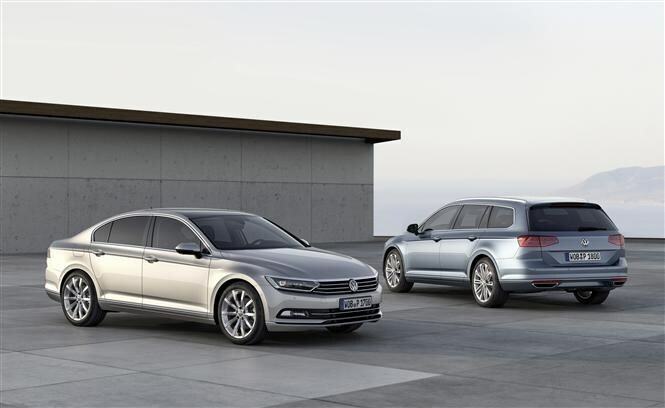 Prices will be announced closer to the launch time and the new Passat will get its official unveil at this year’s Paris Motor Show in Autumn. Parkers will be among the first to drive the new Passat before it goes on sale - check back soon for our full review.